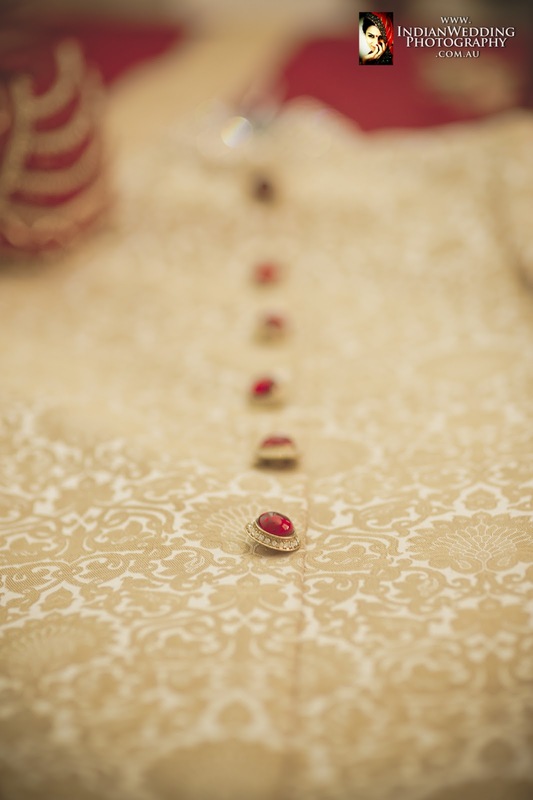 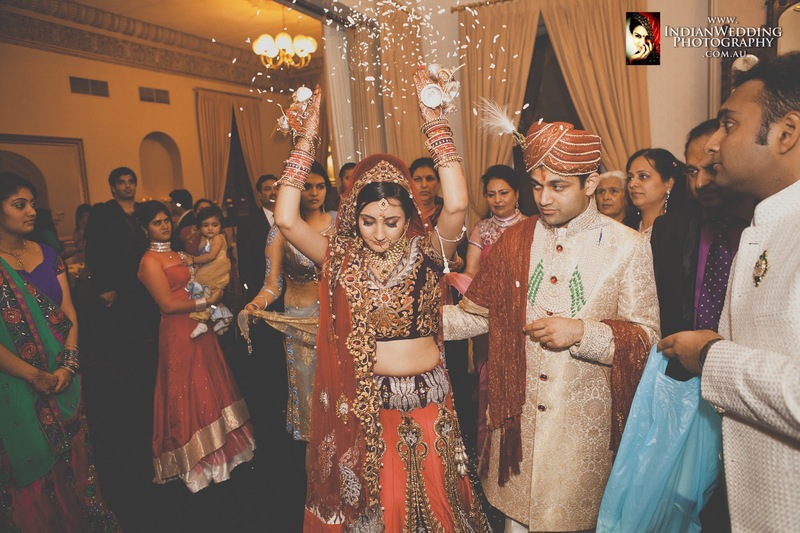 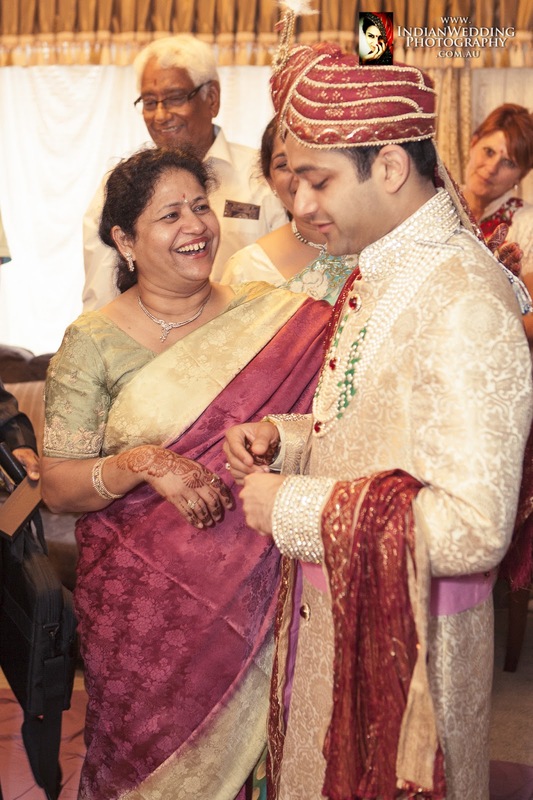 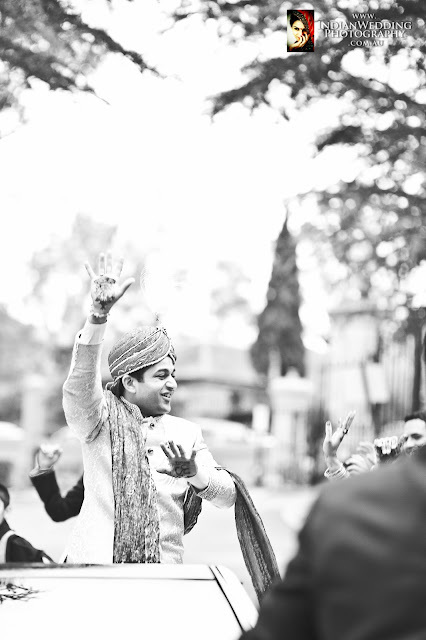 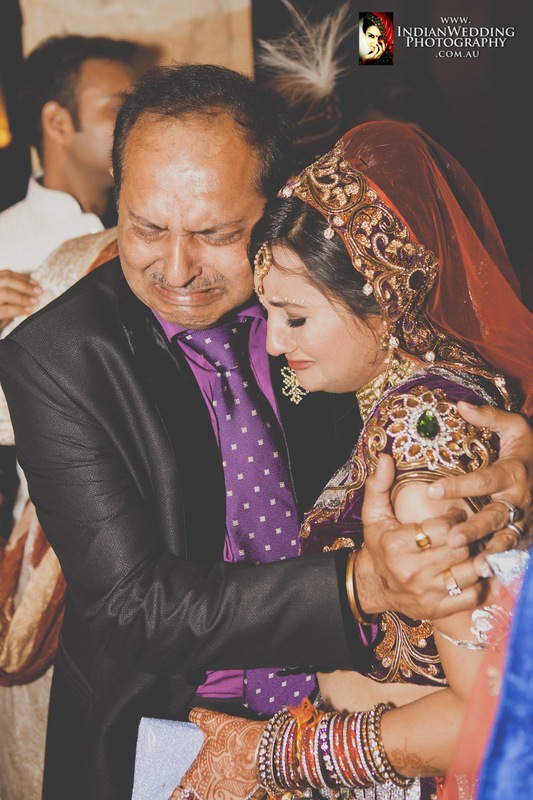 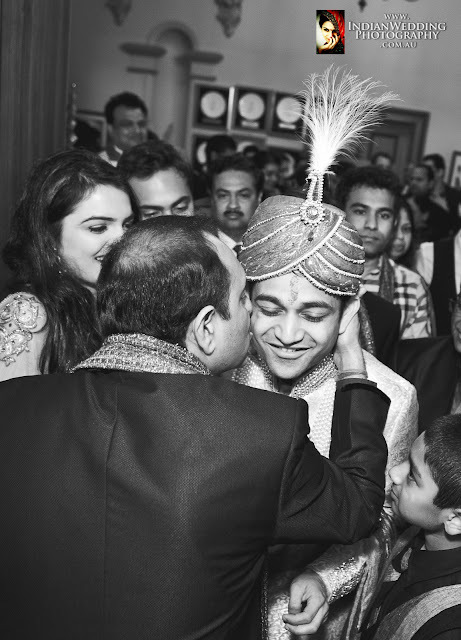 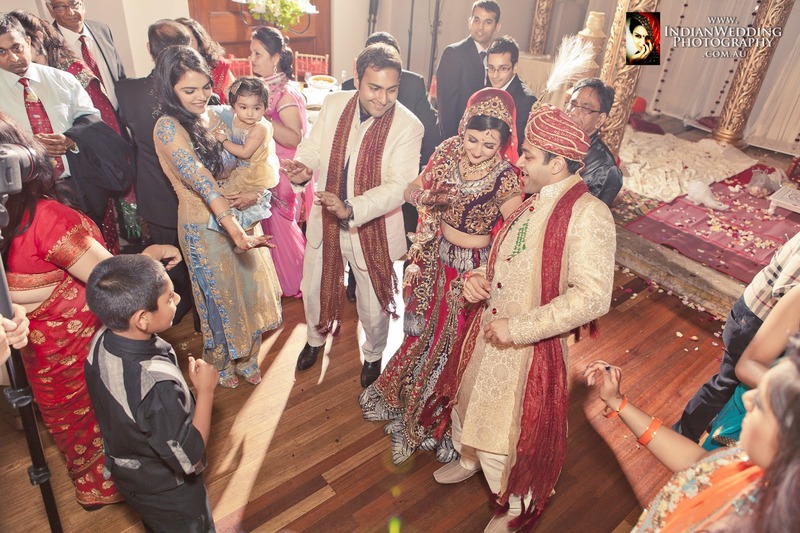 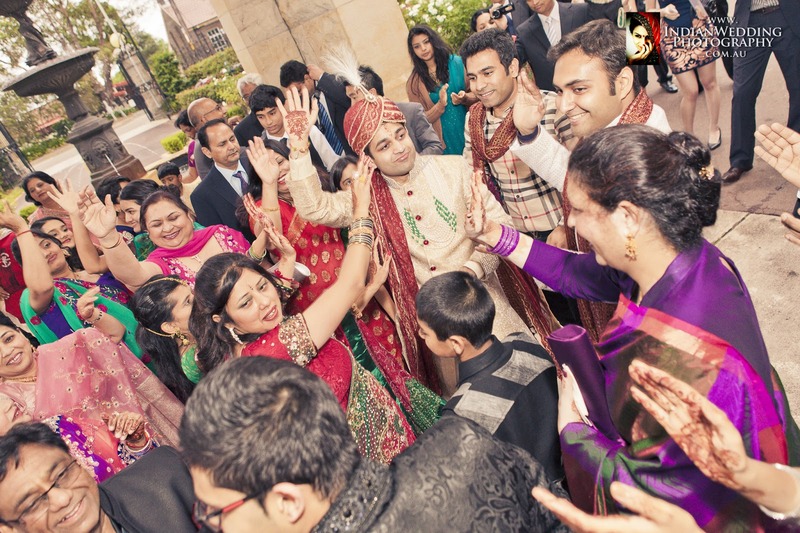 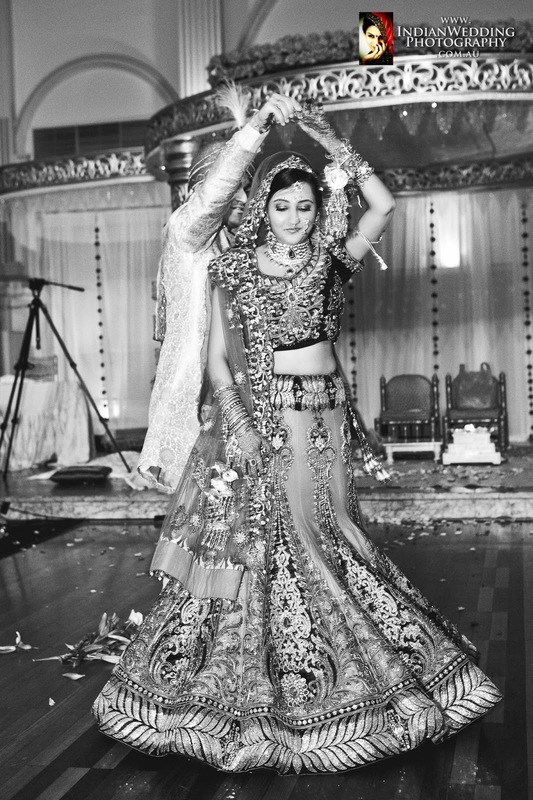 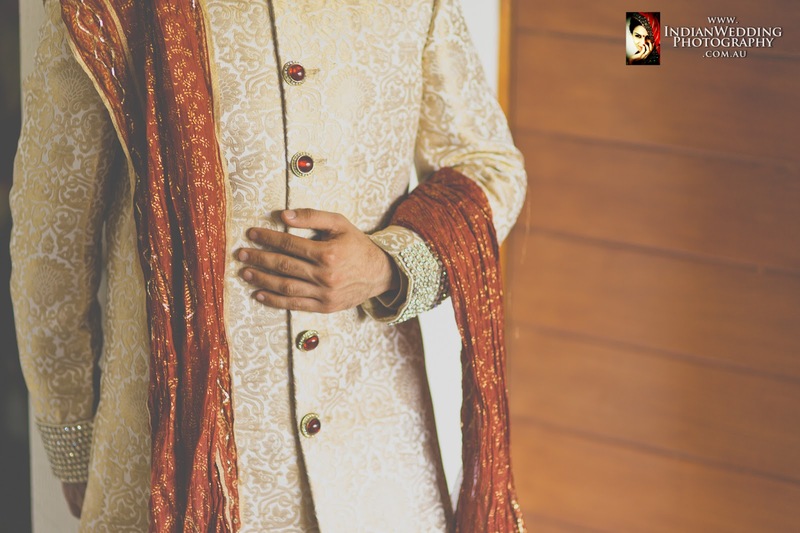 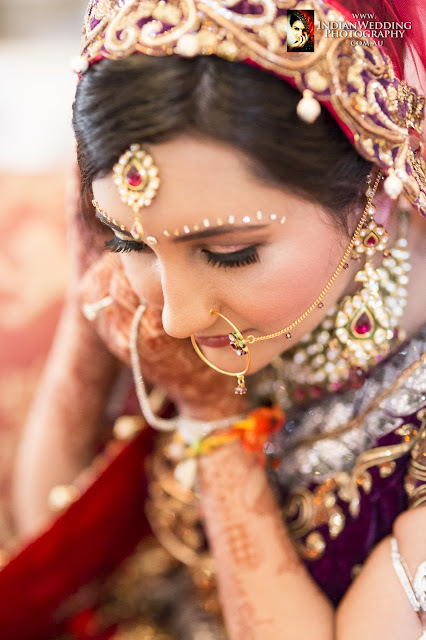 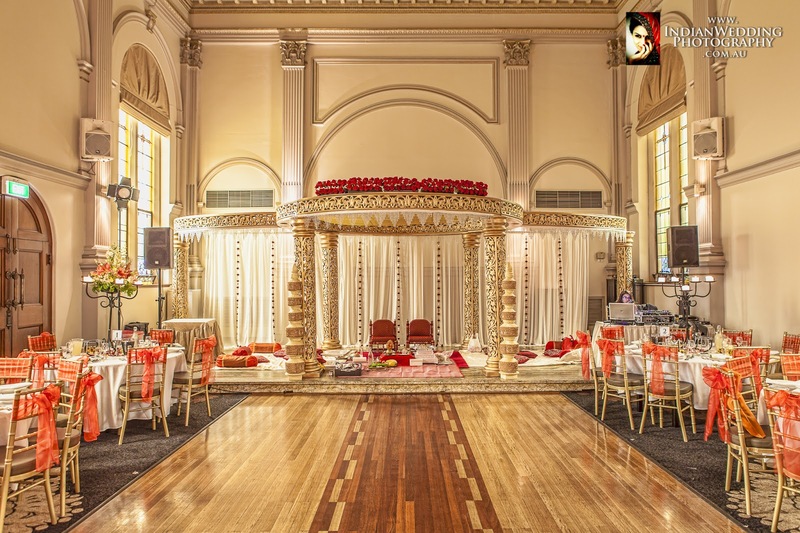 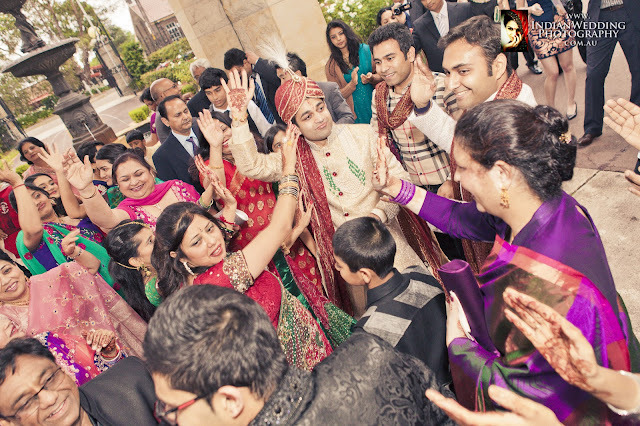 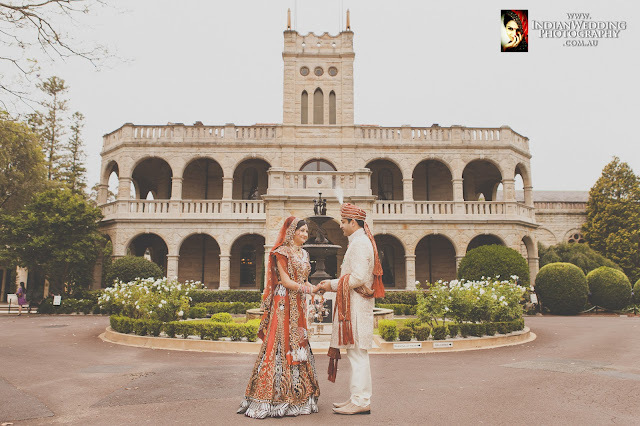 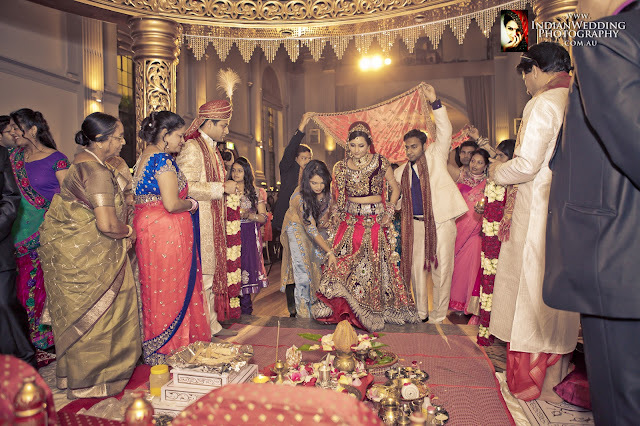 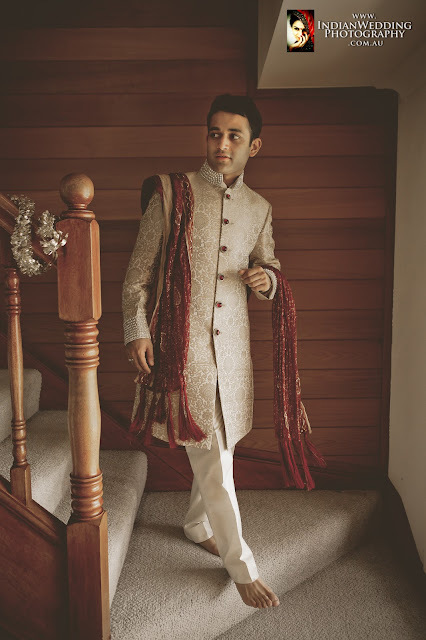 Like any NorthIndian Hindu Wedding, this wedding was full of tradition, emotions, fun, food and dancing. The wedding ceremony and reception dinner took place at Curzon Hall, Marsfield which is a gorgeous location by itself. 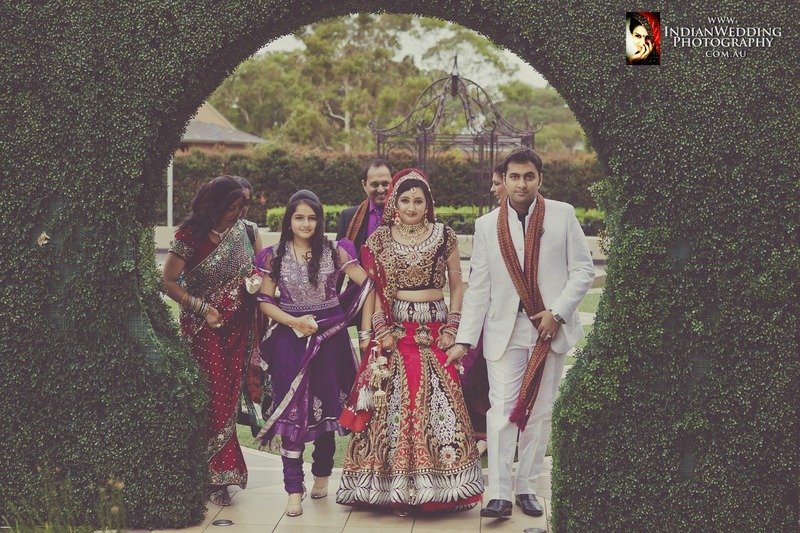 Our day started with the 'Gruh Shanti' and Ganesh pooja at the groom's place in Blacktown. 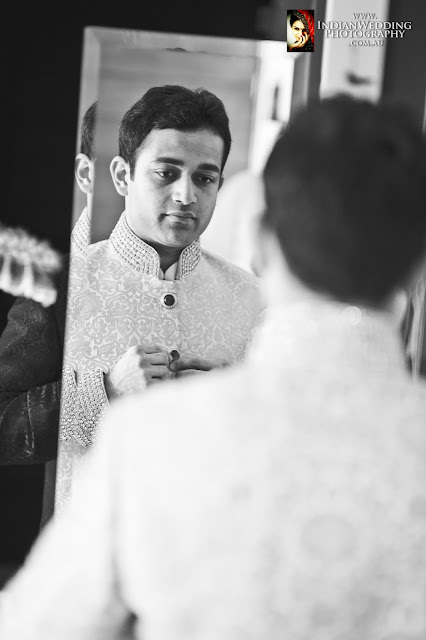 We arrived early to take some shots of the groom getting ready and they turned out to be beautiful. The ceremony was conducted by a Hindu poojari (priest) who explained the rituals along the way. 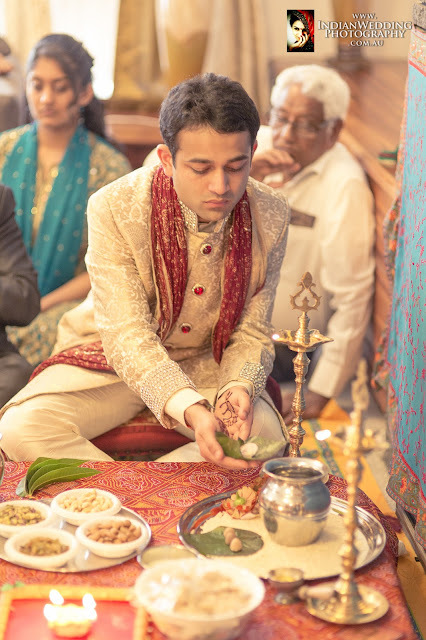 The pooja took place in an hour and the guests were offered lunch. 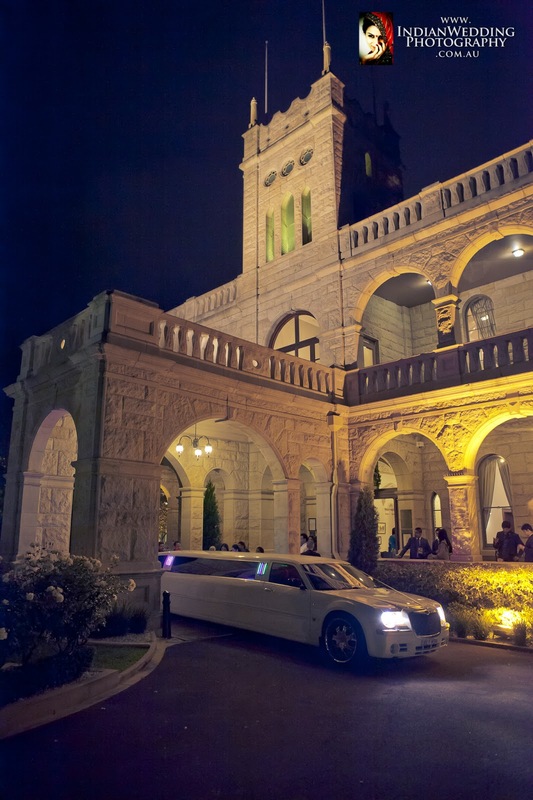 We departed for Curzon Hall where the bride was getting ready. 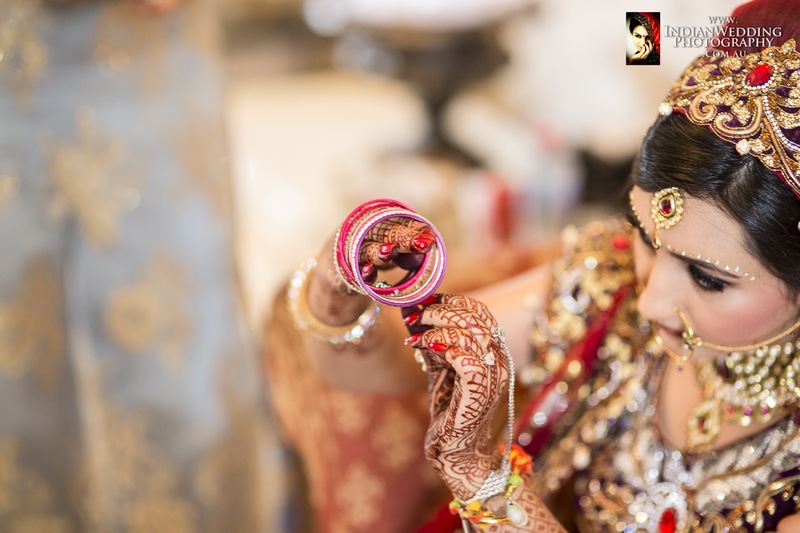 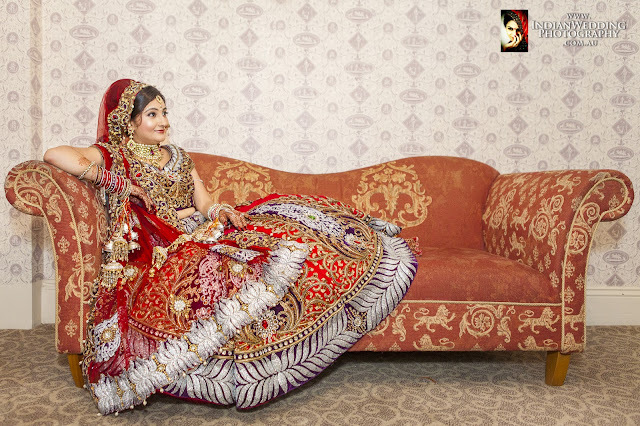 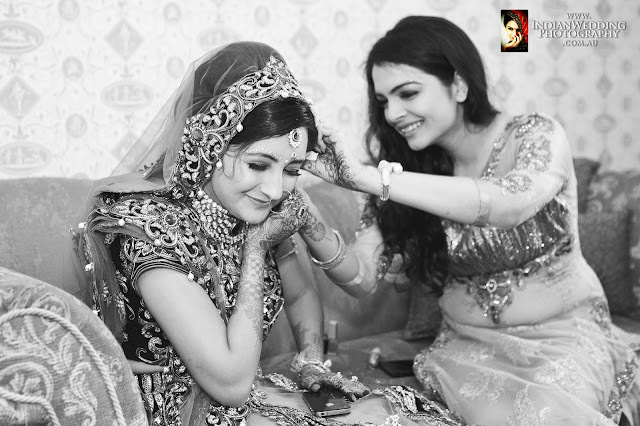 By the time we reached, the make-up artist had just completed her magic on the bride (Stuti). This was perfect timing for bridal shots. Stuti looked gorgeous in her blood red outfit and all the Indian accessories that go along with it. 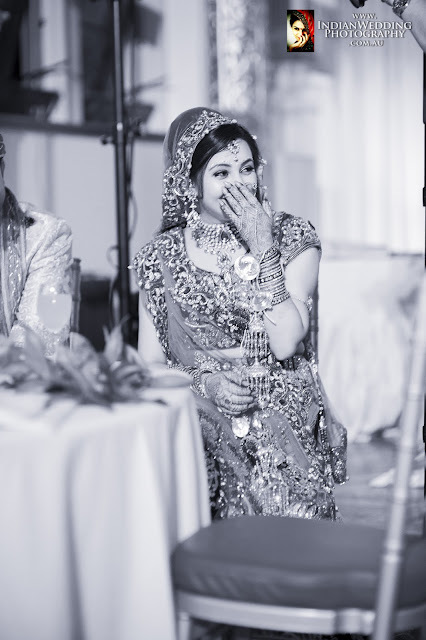 Its only a wonder to me how she managed to walk in the 11kg Ghaghra! 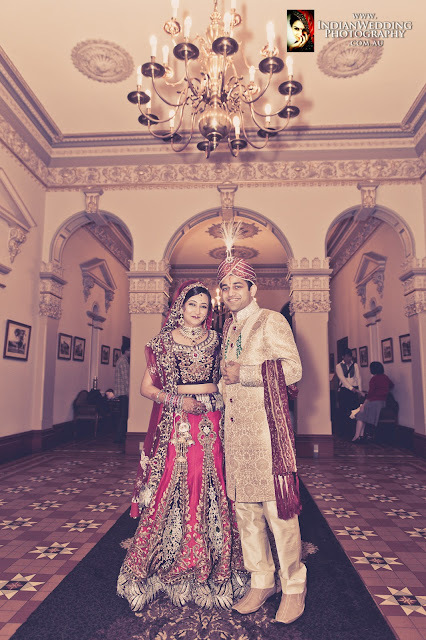 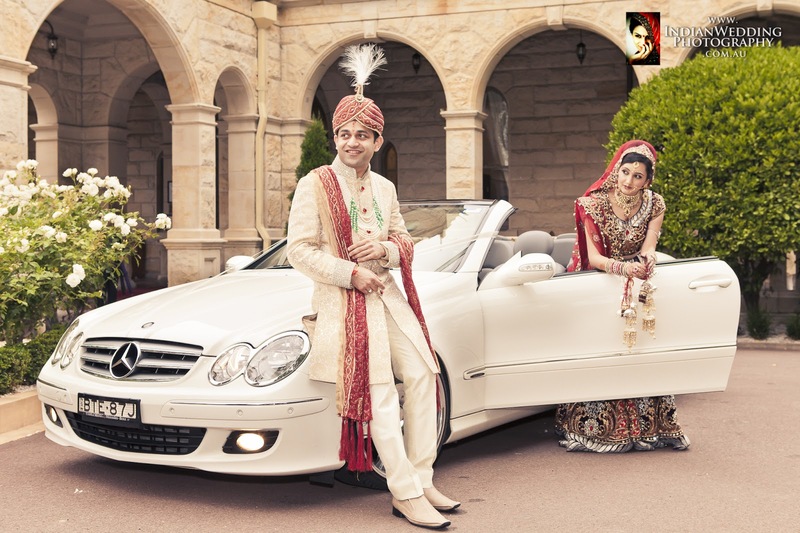 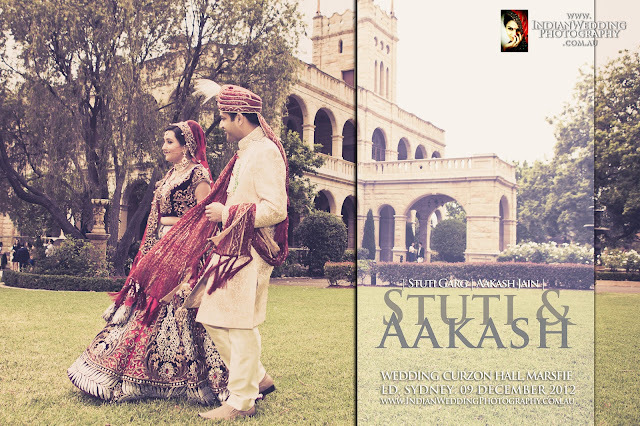 The groom arrived soon after which we absorbed the beauty of Curzon Hall by taking couple shots. 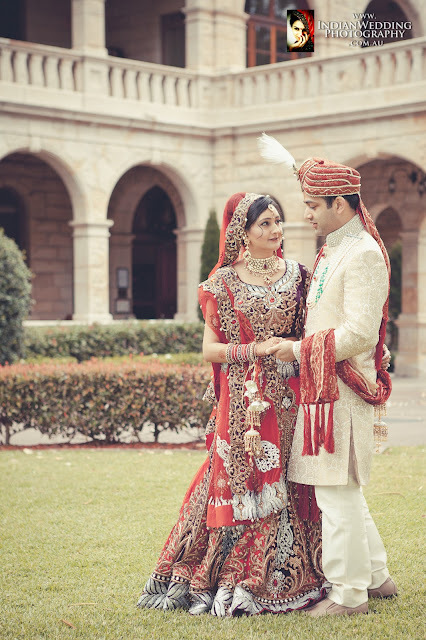 We got pretty lucky with the weather as it started to sprinkle a little by the time we finished with the couple shoot. 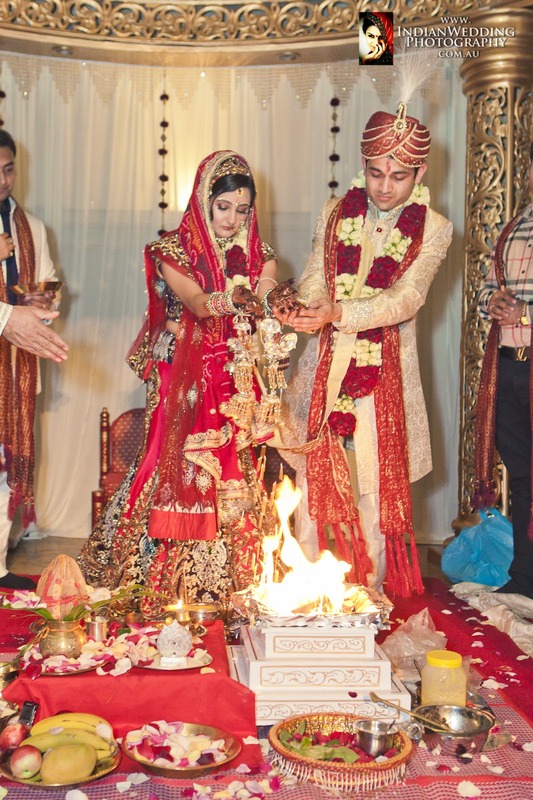 It was then time for the traditional Hindu ceremony where they took vows in presence of the Holy Fire. In the meantime, the guests were kept busy with delicious starters and drinks. 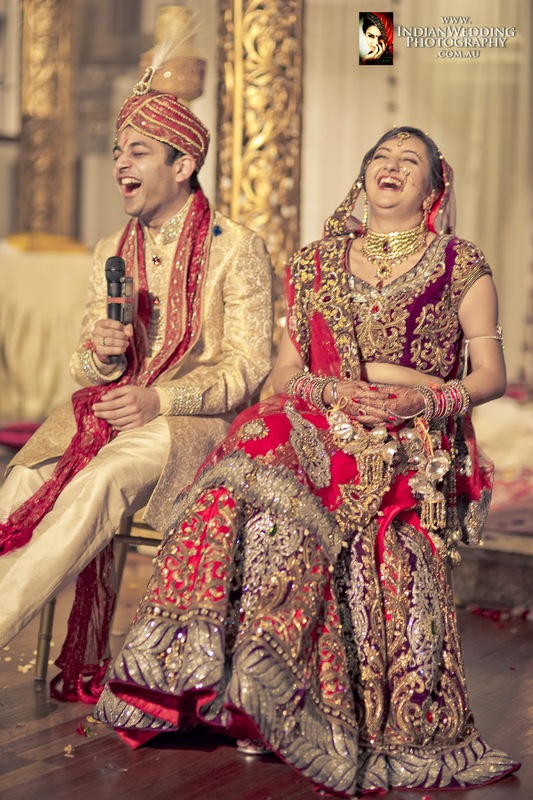 At the end of the ceremony, it was time for some speeches followed by a fun trivia for the couple. 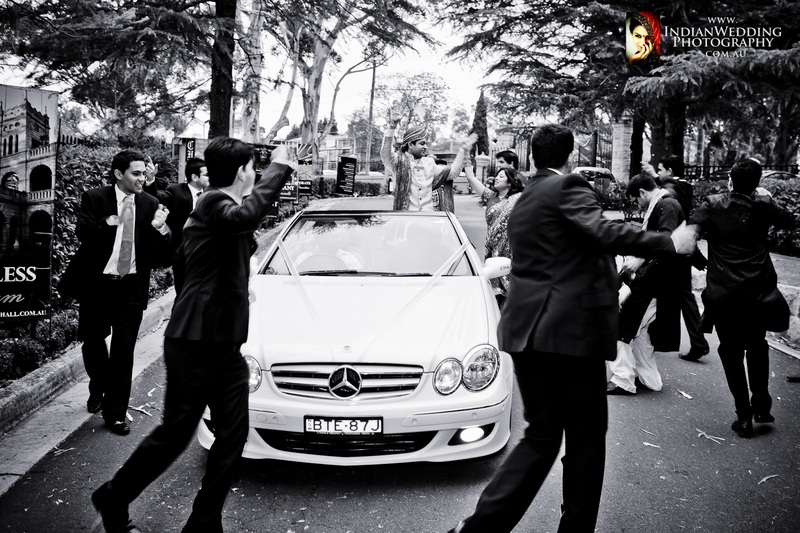 Everyone had a laugh over it. 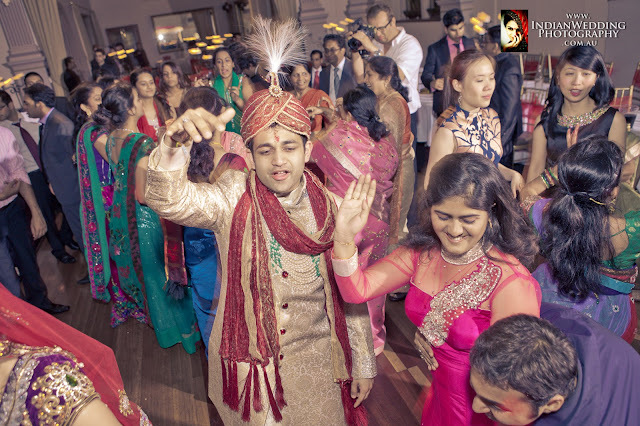 After the dessert, it was time for dancing the night away on popular bollywood numbers which concluded the function. The event ended in a very emotive fashion with the traditional Bidaai (Vidaai) ceremony.